Comments: Cliffview, located at 280 Bird Street in Scottsville, is a two-story wood frame home with brick veneer built in the Colonial Revival style. It was the former home of John Staples Martin, who built this home about 1914 using sand brick manufactured at his brick foundry on the lowlands of the Snowden estate just across the James River in Buckingham County. 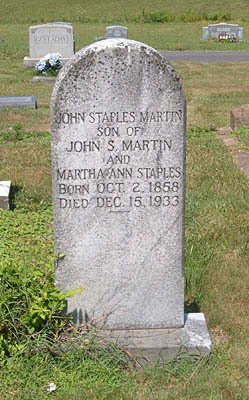 John Staples Martin was born near Scottsville on October 2, 1858, the son of John Samuel Martin and Martha Ann (Staples) Martin and brother of U.S. Senator Thomas Staples Martin. John was educated in public schools and at Richmond College. For a number of years, he devoted his attention to his family's farm, but the mercantile business appealed to John more. He became president of the Scottsville Brick Company, which was in the business of manufacturing concrete bricks. For a number of years, John served as private secretary to his brother, Senator Martin, and performed those duties at the time of the Senator's death in 1919. John also served twelve years as township supervisor and was a past master of Scottsville Masonic Lodge No. 45. John never married and passed away on December 15, 1933; he is buried near his parents at Scottsville Cemetery. 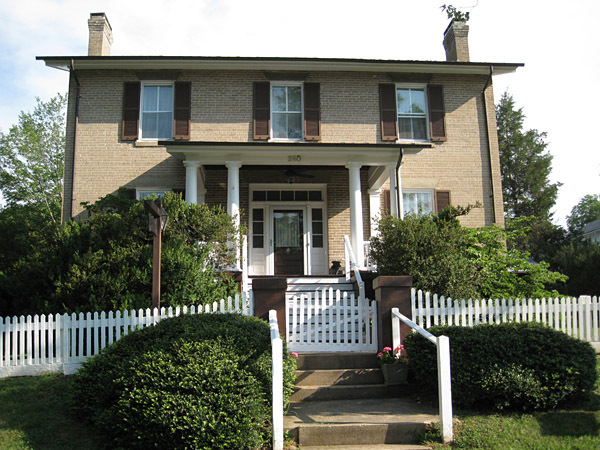 Thomas Miller bought Cliffview from John Martin's nephew in 1936, and the home stayed in the Miller family until it was purchased by George and Lucinda Wheeler in April 1974. The Wheelers remain at Cliffview in 2010.